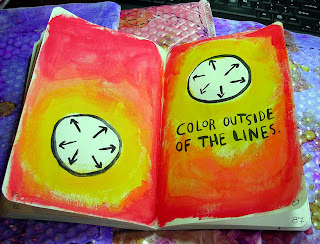 I'm having fun with some friends who are working through the book Wreck This Journal by Keri Smith. I have so much positive to say about this experience. My journal has become "Rock This Journal" and I've been involved in more full-on reckless abandon than is natural for me. At some point I have to mail it to myself and I'm bracing for the inevitable fear that will grip me over whether it will come back. This is kinda the point of this process. Art without fear of loss. Good stuff. Try it. I bought copies for each of my daughters. How inspiring. 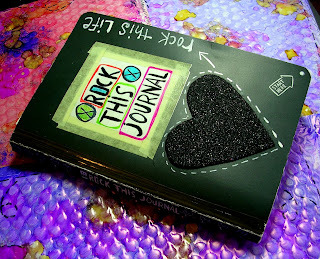 We have a small group doing these journals too. I never laugh so hard as with those ladies and our journals.